Who Knew College Surplus Sales Could Help You Get Such Great Deals? 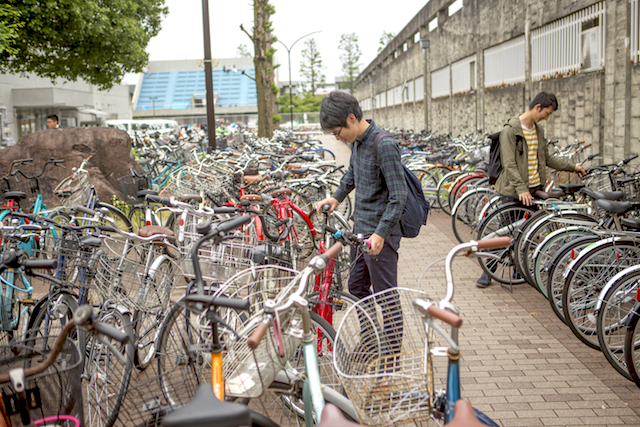 If you’ve ever walked on a college campus in June, a few weeks after classes wrap up, you’ve probably noticed the sea of abandoned bikes still locked to bike racks, even though their owners have gone home for the summer. Many universities sell this surplus property at deeply discounted prices through special campus stores, surplus auctions or online on sites like eBay and Craigslist. You can save some cash and help recycle useful items — it’s a win-win. Why Do Schools Hold Surplus Sales? Universities sell everything from bikes to athletic gear to cars, plus laptops, iPhones, computer hardware, furniture, antiques and more. Many public schools must dispose of property through surplus departments for accountability and tracking purposes. Since taxpayers foot the bill for these items, they don’t want individuals profiting off university goods. Most public universities (and some privates!) have surplus property departments. The goals of these surplus programs are twofold: to get rid of unwanted, used items and help protect the environment by recycling. If you’re into thrift shops, university surplus stores are a great fit for you. 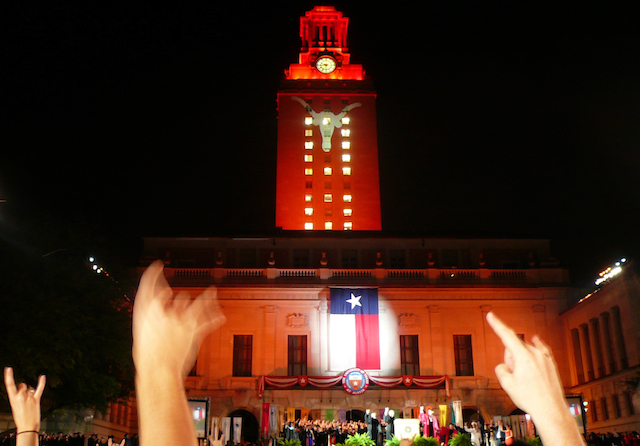 “Surplus properties was initially established to manage state assets that were no longer needed by the university, and to do so within Texas government code guidelines,” according to Laurie Lentz, a spokeswoman for the University of Texas at Austin, which has had a surplus department for more than 30 years. From office chairs to architecture drafting desks, universities have surplus furniture galore, and you can get great deals on it. Universities are a good place to look if you’re starting a new business and need bulk furniture, but you don’t want to fork over tons of money for brand-new stuff. 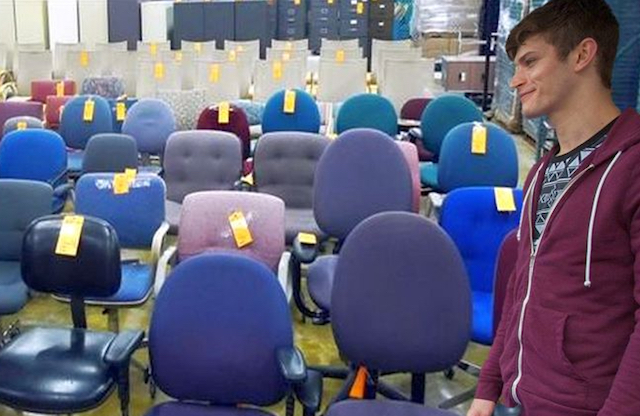 Since many schools are like small cities, they often have high numbers of duplicate items, meaning you can get a matching set of desks or chairs for cheap. “If you are looking for furniture, we are the best deal around,” said Robert Moddrell, University of Texas at Austin resource recovery manager. Many college students don’t bring cars to campus — there aren’t a lot of parking spots and permits can be expensive. Students are also environmentally conscious. So, they turn to bikes. But sometimes, they forget about those bikes, or they decide not to take their bikes with them when they graduate or move out for the summer. 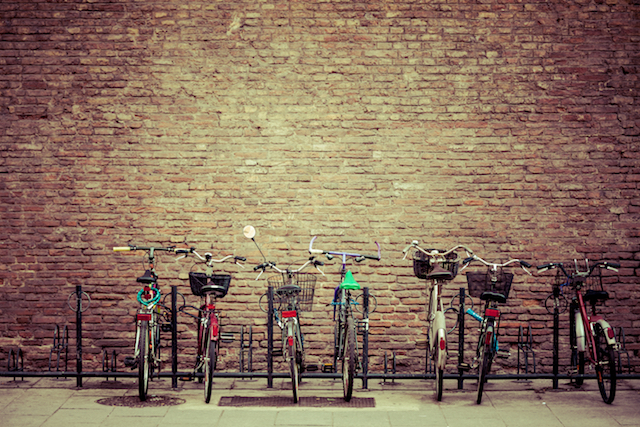 Colorado State University has hundreds of bikes for sale for between $25 and $300. Sure, these bikes could possibly use a tune-up and a good cleaning, but $25 is still dirt cheap for a bike. I test-rode a few and found many to be in great shape. Plus, I saw a few “diamonds in the rough” — bikes that may be a few years old, but are high-quality brands. 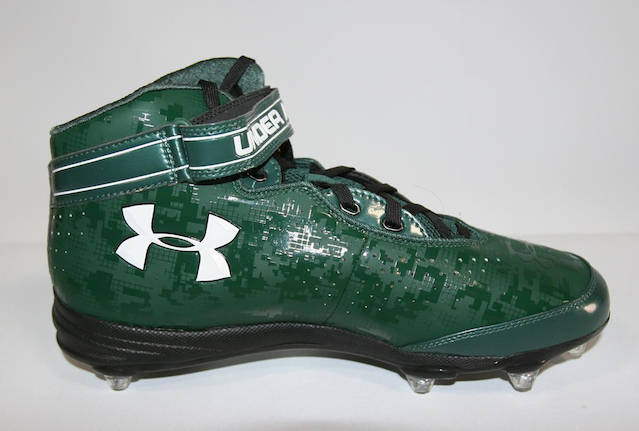 Under Armour team green football cleats. Photo from Colorado State University on eBay. If you’re a big fan of a college’s sports teams, consider checking out its surplus property department for jerseys, T-shirts and other items. Often, teams will order too much equipment or end up with clothing no one on the team can fit into. They hand this stuff over to the surplus department to sell, which means you’re able to get top-notch, brand-new gear for cheap — and support your favorite team at the same time. The University of Wisconsin recently sold football game jerseys for just $20. I found a Wisconsin football jersey online for $105 — that’s a savings of $85. Colorado State University sold men’s Under Armour football cleats on eBay for $39.99 — that’s nearly half off a similar pair priced at $79.95 on Amazon. I’ve been out of college a few years, so my personal laptop is old and clunky. I wanted to replace it, but I wasn’t interested in spending a fortune, since I try to spend as little time as possible looking at screens when I get home from work. Enter my nearby university’s surplus auction. Universities offer great deals on laptops, desktop computers, printers, keyboards, mice, cords and other devices. Most of these computers were well-cared-for during their life on campus, as the university’s IT department likely performed regular updates and maintenance. 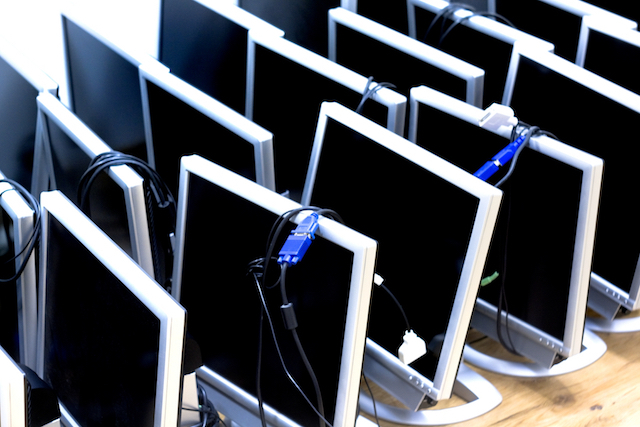 The University of Michigan held a back-to-school sale with its surplus computers. It sold Dell laptops for $100 to $125, well below their $600 to $750 purchase price. The school also gave away a free laptop bag with every laptop purchase. Need a massive chalkboard? Here’s one that sold for $30 at the University of Michigan. Or, maybe you’re a budding horseman and you want an English saddle, which you can bid on at the University of Wisconsin. Western Kentucky University is selling a wooden shed with a starting bid of only $15! 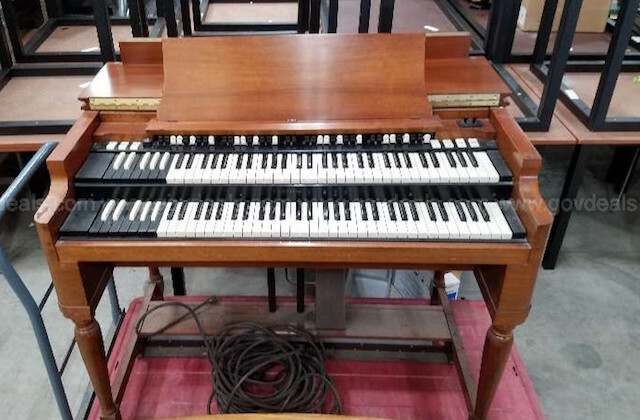 Virginia Commonwealth University is selling a 1964 organ, with bids starting at $1,500. Maybe you need a gently used 40-foot mobile dentistry clinic from folks at Indiana University, with a starting bid of $25,000. University surplus stores have some incredibly random stuff. If you’re a collector, or if you’re looking for a specific item, check your nearby university’s surplus store regularly. You just might find what you need — for cheap. Your Turn: Have you found any great deals at a college near you?